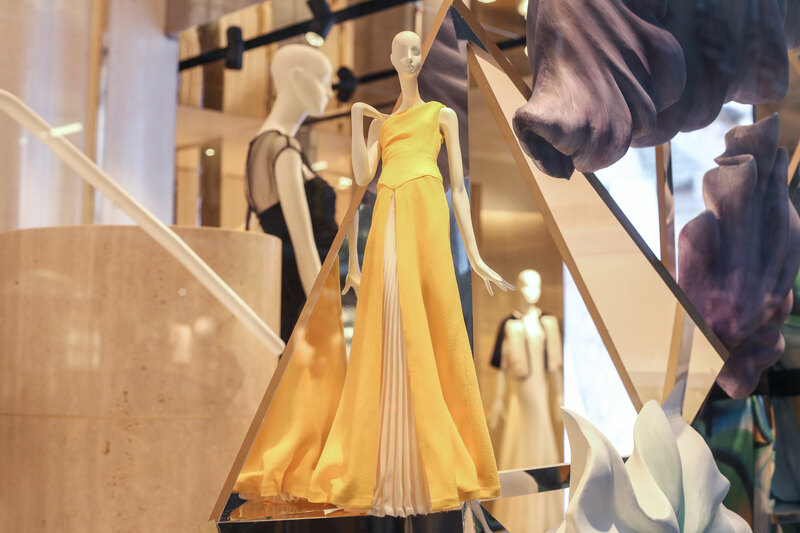 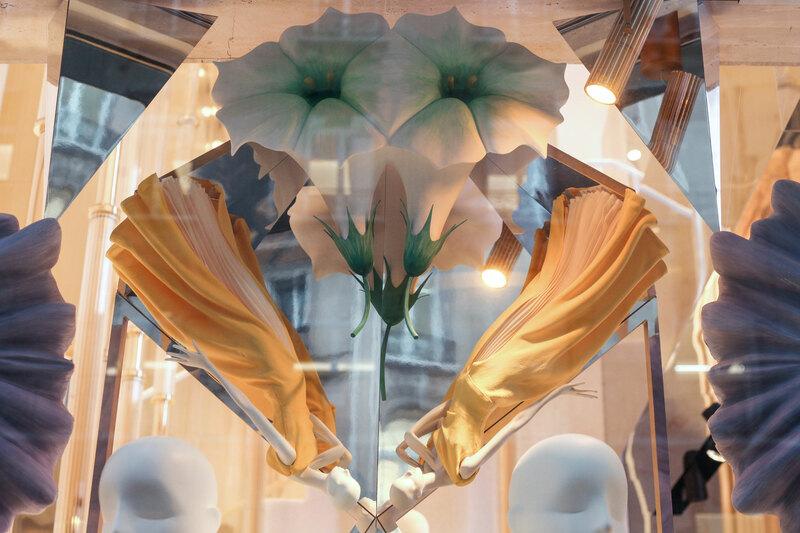 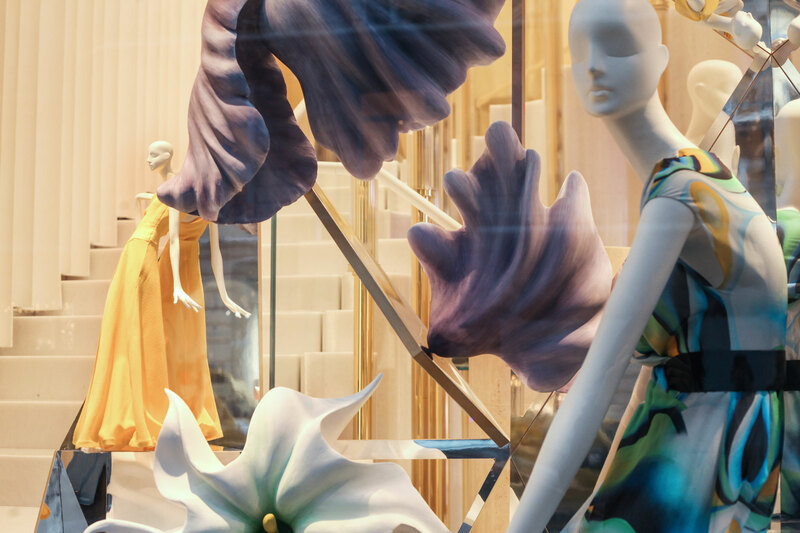 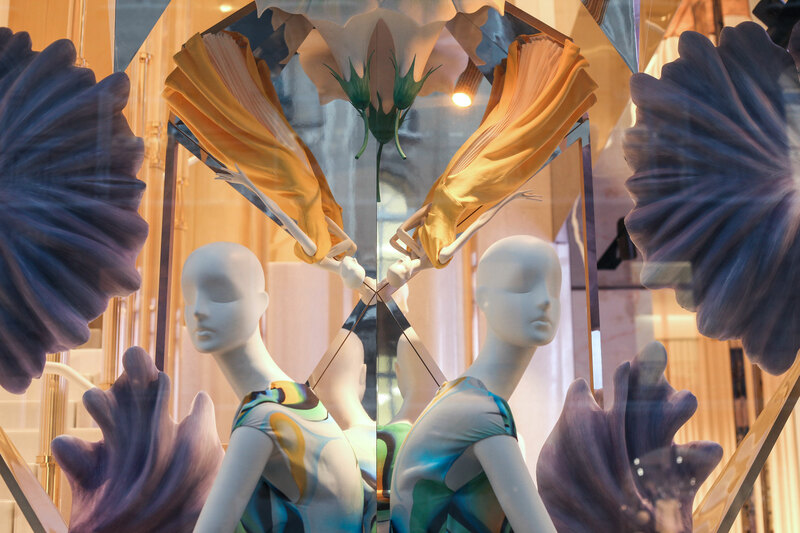 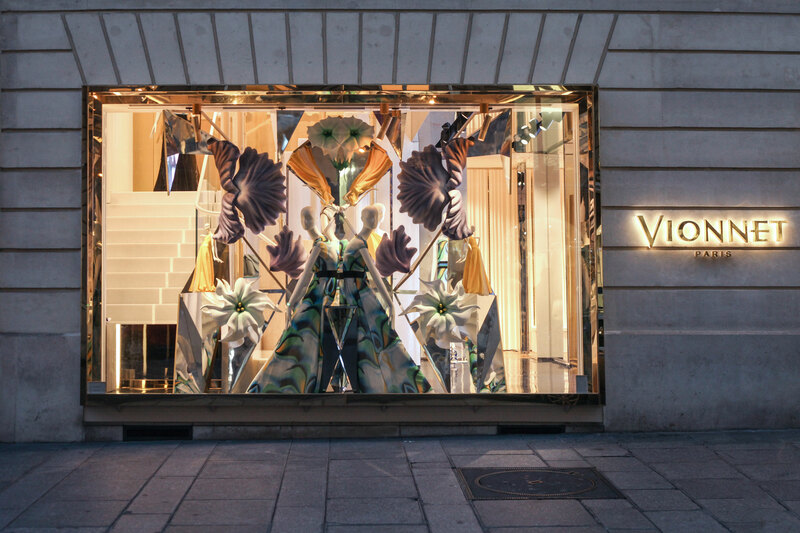 Our intention was to create a rich festive window while referencing both classic Vionnet themes such as symmetry and geometry as well as the strong flower theme in the 2016 cruise collection. 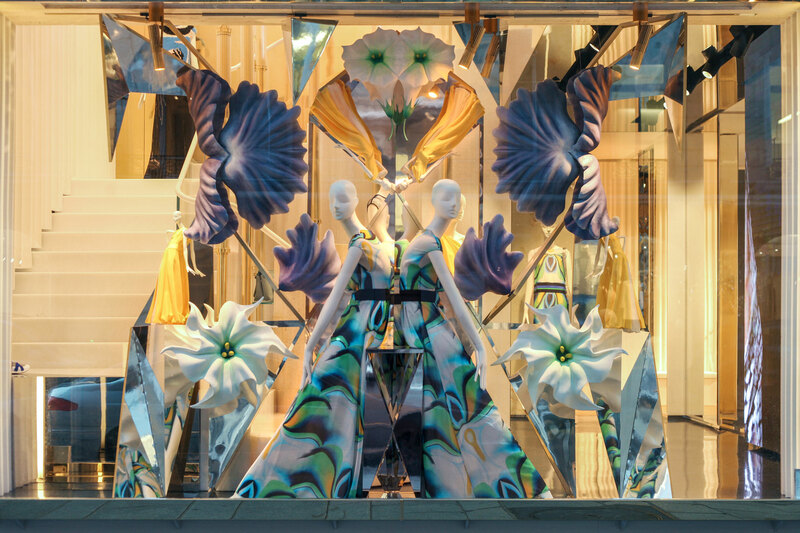 Kaleidoscopes are reminiscent of Christmas parties. 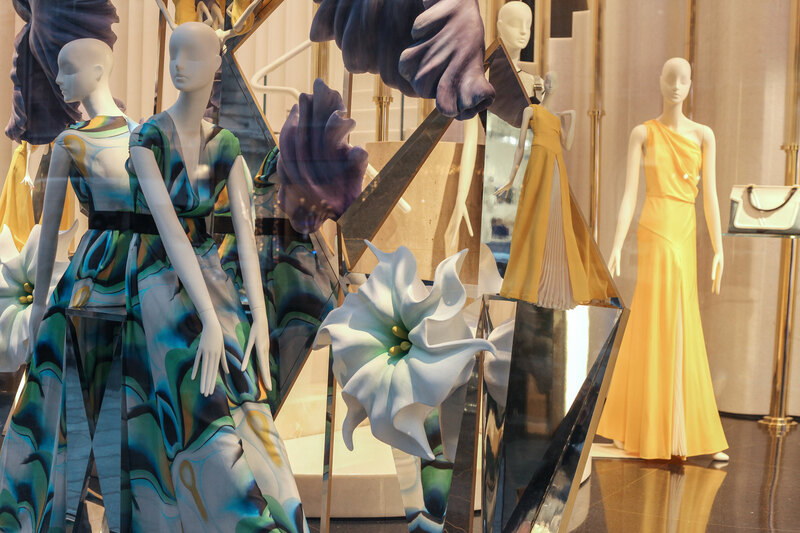 The iris & the jimson weed, strong symbols of the collection were used as a base to create a festive feeling. 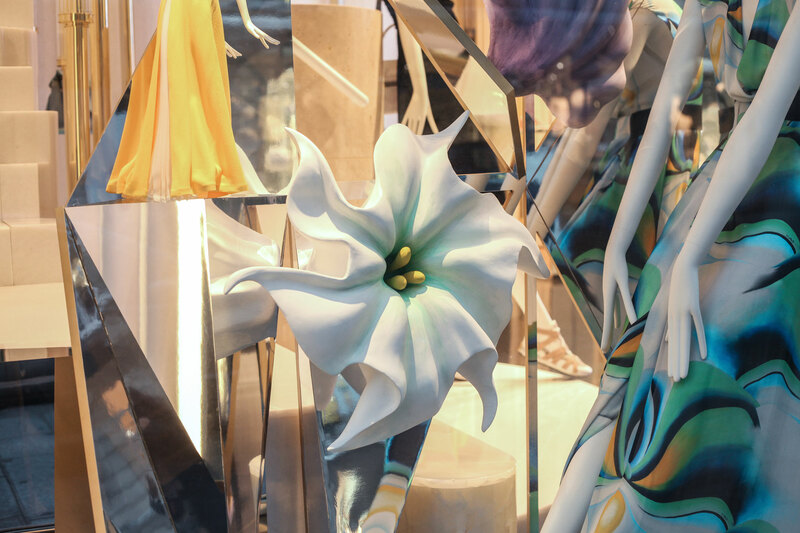 That which is only an optical illusion in a kaleidoscope become a 3 dimensional reality in the window through a mix of custom sculptures and mirrors.